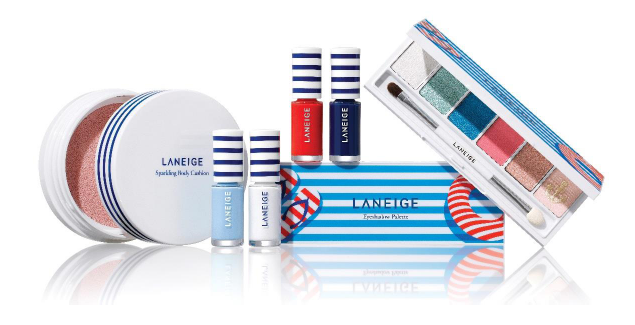 I always find the marine theme very fascinating... with the anchor and stripes and all.... and well, this summer sees Laneige drawing nautical inspiration to create a collection that is vibrant, youthful and fun for the 2016 Summer . The collection is designed around the beach motif that best express the Summer Marine look. 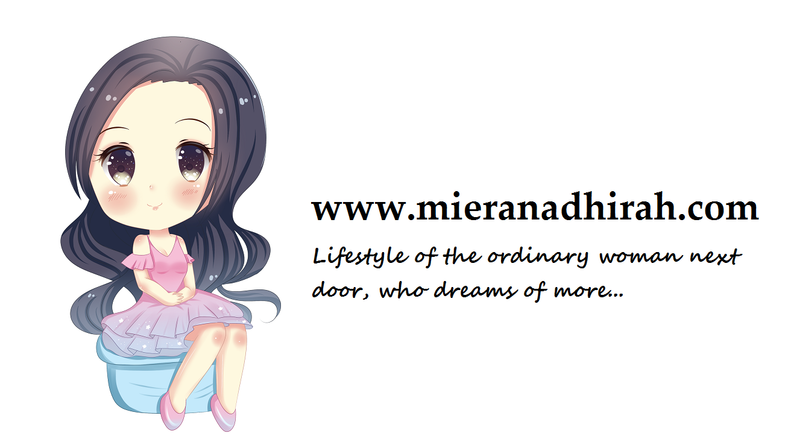 The colours centred on the collection are traditional marine colours of blue, white and red. The Summer Collection is made up of an eyeshadow palette, nail kit and the first of its kind, body highlighter. 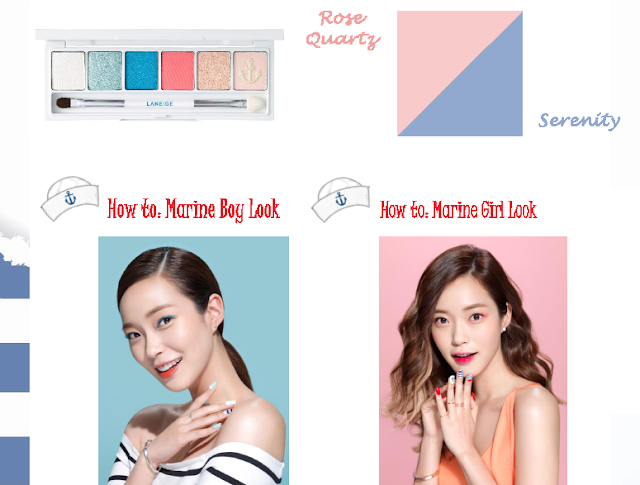 Incorporating Pantone’s 2016 colour of the year–Rose Quartz and Serenity, the Marine Girl Boy Eyeshadow Palette is able to transform your look simply by using different colours. The blue shade can be used to create a Marine Boy look while the pink shade from the palette for a Marine Girl look. This eyeshadow palette features six summer-ready colours. They are Hyams Beach, Boracay Emerald, Summer Serenity, Singapore Sling Pink, Rose Salt Recipe and lastly, Hanoi Bouquet. 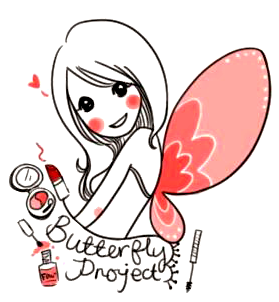 The palette also comes with a tip and a liner brush applicator. Summer beauty simply won’t be complete without painted fingertips. The Marine Nail Kit allows you to achieve perfectly manicured nails with 4 nail colours and nail art stickers. 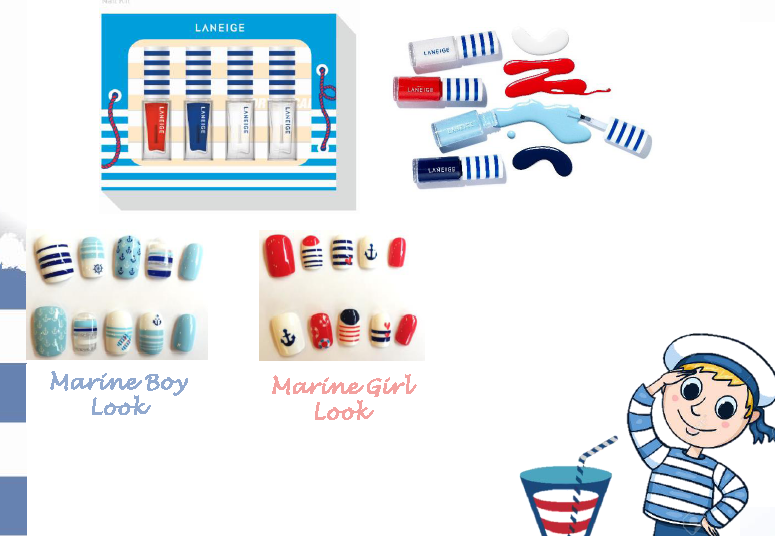 Sticking to the nautical theme of the Summer Collection, the nail colours in the kit are white, red, sky blue and navy. Designed for easy nail polish application, the Marine Nail Kit also features nail art stickers. Nail Art Stencils: A nail art tool that makes drawing nail patterns easier. 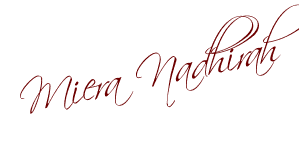 Simply attach the stencil to your nail, apply the colour and detach the stencil. Marine Deco Sticker: Don’t have time to paint your nails?Applying these marine sticker will ensure your nails look their best. 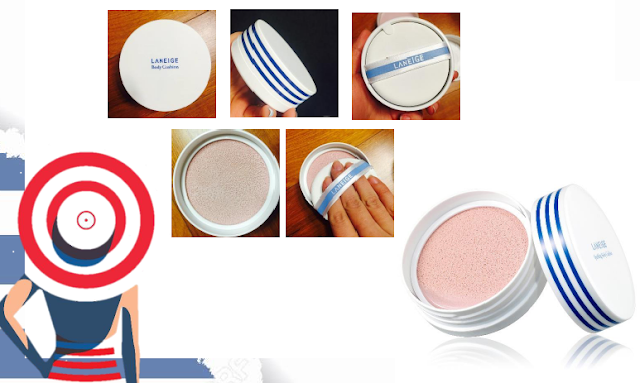 First of its kind in the make up world, the Sparkling Body Cushion is a multi-tasking body product that works as a body highlighter and comes with a cooling effect from Laneige’s sparkling water. Experience coolness with just one dab of it on your body in the scorching summer weather. It is formulated with sparkling water and aloe ingredients to give the body an instant refresher upon application. Apart from that, the Sparkling Body Cushion also gives off a glistening pearly glow which completes a healthy and glowing body makeup.